Here are some of the best moments from the tournament so far. Let us know your favourite by tweeting @SkyCricket and make sure you watch Finals Day from 10.30am on Saturday. 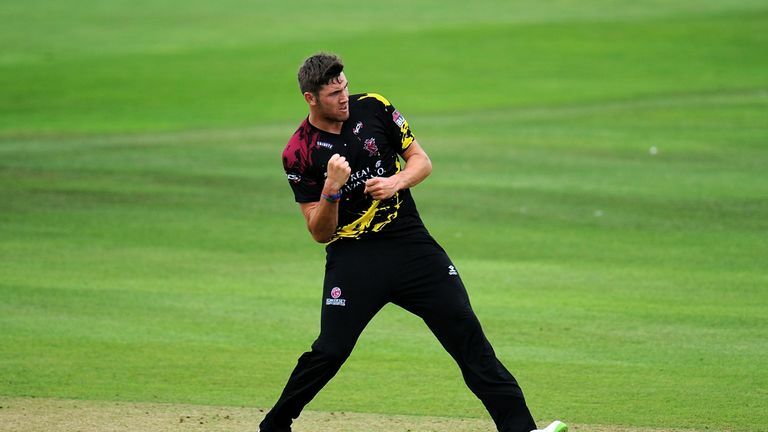 Jamie Overton took a stunning boundary catch during Somerset's Vitality Blast clash with Kent at Canterbury - with the moment made even better by Mark Butcher's commentary! Butch hailed Somerset seamer Overton for having knees "stickier than Sticky the Insect stuck on a sticky bun" as he sprinted to long-off to take a leaping grab, keep himself away from the rope, and dismiss Alex Blake. Co-commentator Nasser Hussain struggled to contain himself following Butcher's description of events - a nod to Blackadder - during a game Kent won by five runs to seal a spot in the Blast quarter-finals. Tymal Mills took a hat-trick as Sussex hammered Glamorgan by 98 runs to keep the county's play-off push alive. Mills (3-20), with his first three balls of the 14th over, bowled Andrew Salter and Michael Hogan either side of Timm van der Gugten edging behind, as Glamorgan were bundled out of for just 88. It came a month after Joe Denly bagged a hat-trick of his own and scored a hundred as Kent Spitfires beat Surrey by six runs - Rikki Clarke, Jamie Smith and Matt Pillans the victims. Jofra Archer is also a member of the hat-trick club this season - picking up Eoin Morgan, John Simpson and James Fuller as Sussex secured a dramatic 12-run win over Middlesex at Lord's. 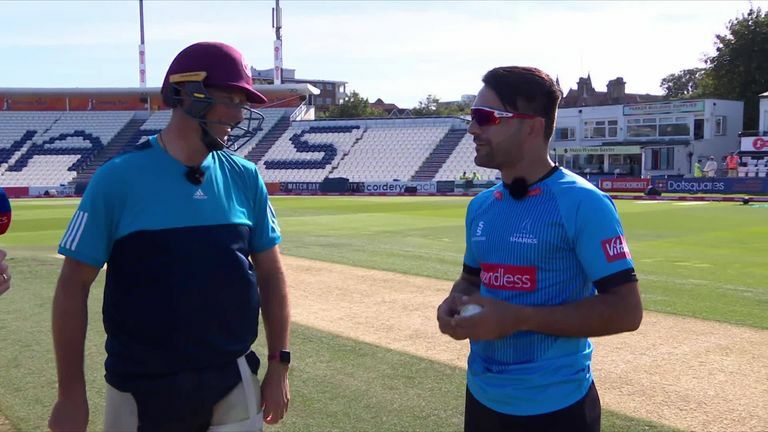 Former England opener and Sky Sports Cricket commentator Marcus Trescothick faced Afghanistan spinner and World No 1 T20I bowler Rashid Khan in a one-over challenge when we took our cameras to Sussex. 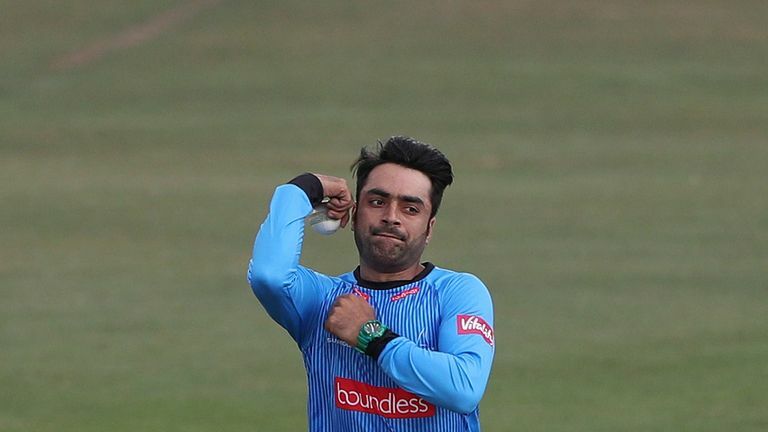 Rashid had seven variations in his pocket to pick from, bowling to Trescothick on a green pitch with a 200m boundary and set a target of scoring six runs. Aaron Finch struck a superb 117no from 52 balls as Surrey pulled off the highest-ever T20 chase at The Oval to beat Middlesex. 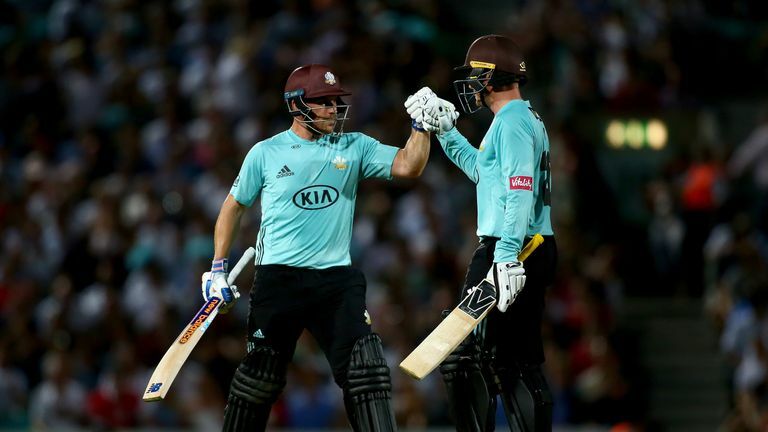 Chasing 222 for victory, after the visitors' opener Paul Stirling had scored his maiden T20 hundred, Finch shared a brutal 194-run first-wicket stand with Jason Roy (84) as the pair cleared the boundary ropes 15 times between them. The Australian opener smashed countryman Ashton Agar for a six to reach his ton off 45 balls as Surrey romped home with four overs spare, Finch finishing on an unbeaten 117. 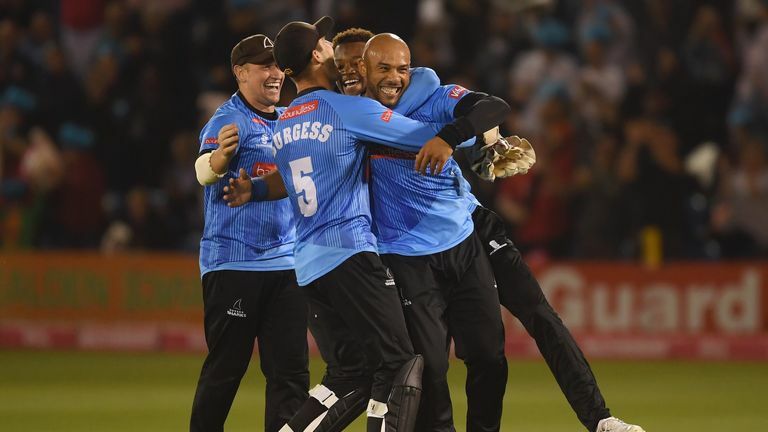 That came after Finch hit an unbeaten 131 as Surrey ended Sussex's unbeaten start to the Vitality Blast with a thumping 52-run win. The Australian hit a magnificent 131 not out, the highest ever T20 score by a Surrey batsman, after being dropped by Jofra Archer on one. Worcestershire Rapids' Daryl Mitchell and Martin Guptill combined to pull off a brilliant catch in the deep in their Vitality Blast North Group match against Yorkshire Vikings at New Road. Vikings wicketkeeper Jonathan Tattersall had been looking to send seamer Ben Brown over the boundary rope when Mitchell intervened, leaping high to claim the catch. However, with his momentum taking him over the foam, the Rapids' captain Mitchell flung the ball to New Zealand's Guptill, who in turn produced an excellent leaping one-handed take to complete the catch.